The movie is based on a true story and the 2008 memoir of American author, Leonore ‘Lee’ Israel, “Can You Ever Forgive Me?”. It’s thought that she forged over 400 letters during her forgery spree of famous authors and actors. She also stole actual letters from libraries and archives, and replaced them with the forgeries, and then sold the stolen letters along with her own. She did this for a year until two FBI agents approached her on a New York street and questioned her about the crime. She died in 2014 of myeloma. The fact that this is a true story, really does beggar belief. It seems almost like a made up story. That said, it’s a really amazing one. 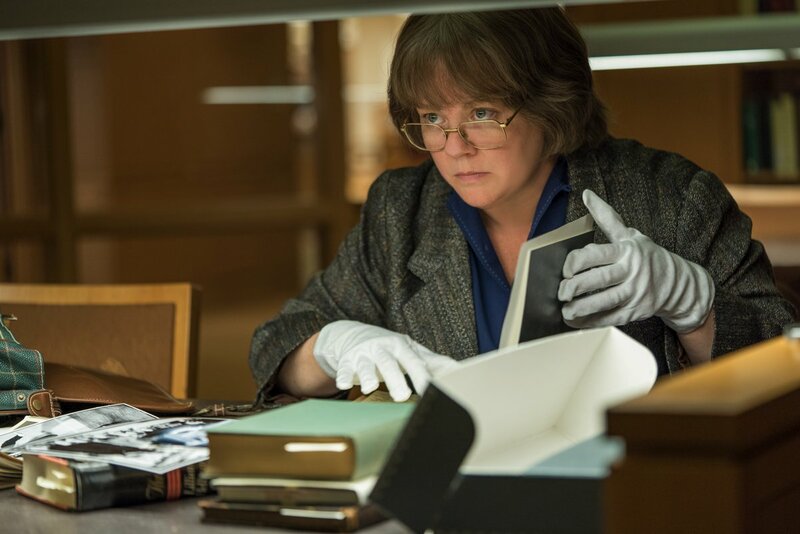 Melissa McCarthy is absolutely fantastic as Lee and she looks so different from her usual roles where she’s all made up. It’s also a refreshing change to see her playing a serious role and one that was an actual person. 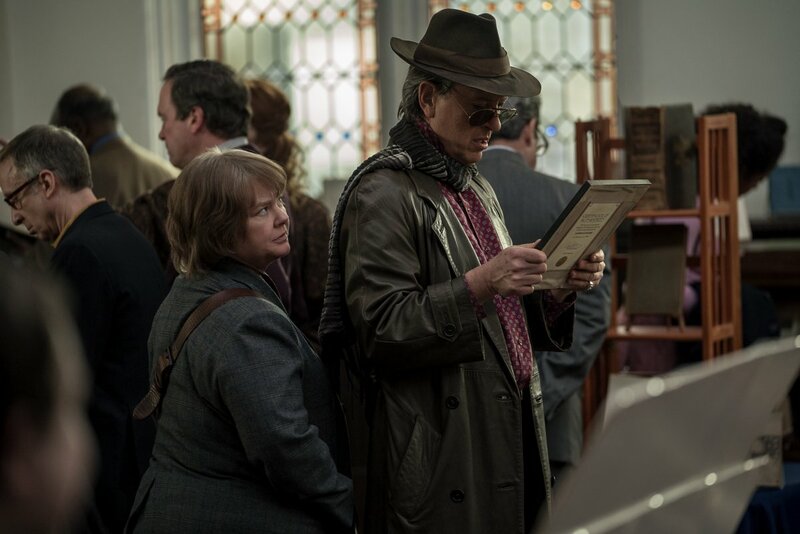 You can see exactly why she’s getting Golden Globe and Oscar nominations for her performance in this movie.. and then there’s Richard E Grant.. wow.. a seriously Oscar worthy performance. I think he’s a really under-rated actor and now with this role, he will get the recognition he deserves and the many award nominations that come with it. With all the buzz around this movie, you really should make an effort to see it if you can. 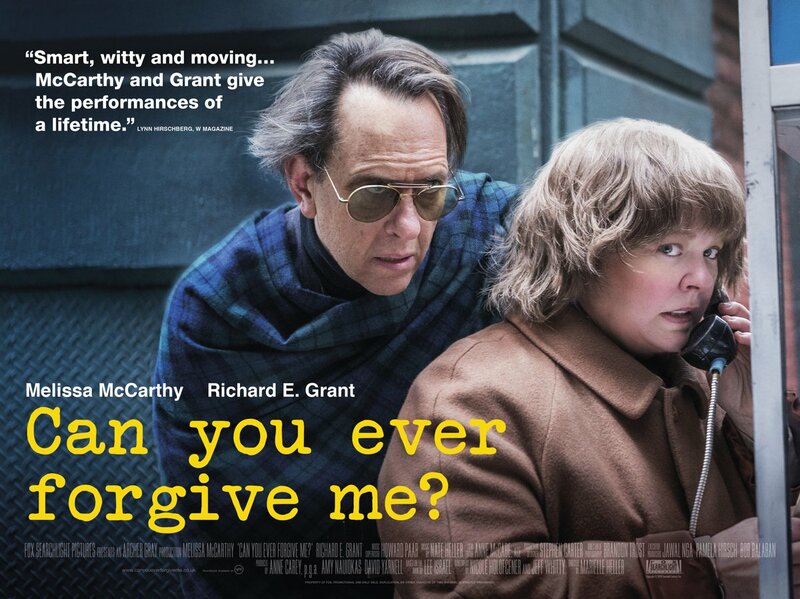 Stellar performances from Melissa McCarthy and Richard E Grant make this definitely one to watch.